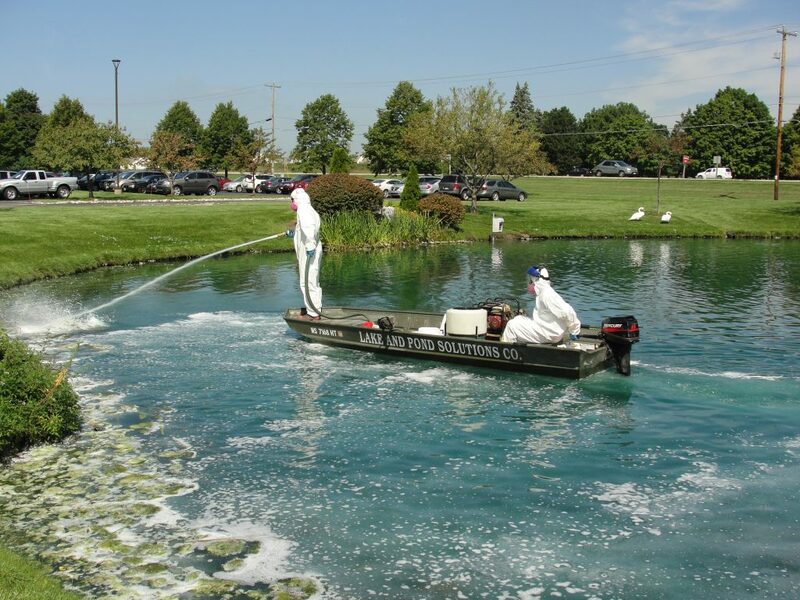 Weed & Algae Control - Lake and Pond Solutions, Co. Please note that before treatment may begin, pond and lake owners MUST have an approved DNR Aquatic Plant Control Permit or DATCP Fish Farm License. Also, as of 10/31/11, all treatments on waterbodies that have an overflow structure in which water can leave the property MUST have WPDES coverage through the Wisconsin DNR. Lake and Pond Solutions Co. currently has statewide WPDES coverage for our customers. 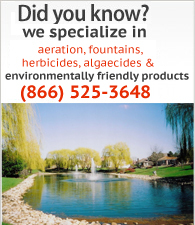 Please contact us for further help in attaining necessary permits or to schedule a pond evaluation. 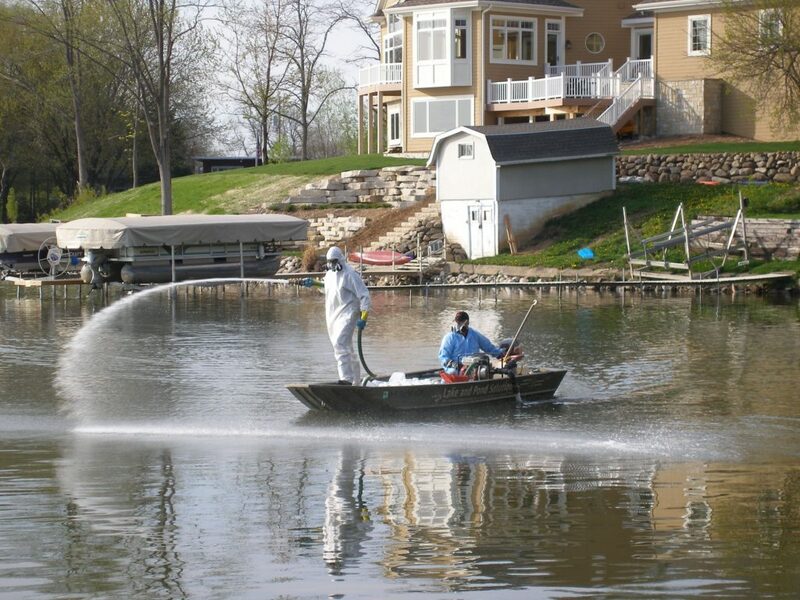 Please note that as of 10/31/11, all treatments on waterbodies that have a potential overflow that leaves the property MUST have NPDES coverage through the Illinois EPA. 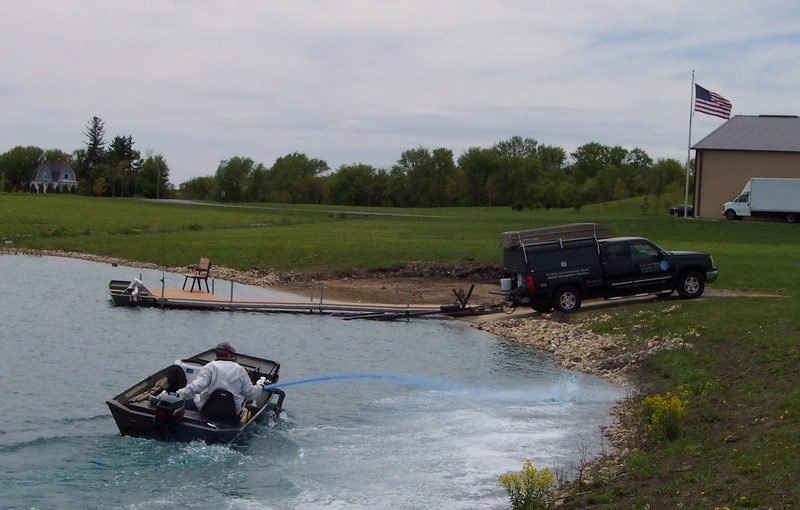 Lake and Pond Solutions Co. currently has NPDES coverage for our customers. Please contact us regarding any questions about this permitting process or to schedule a pond evaluation.